It is important to control and keep your blood sugar balace providing the body with the best natural regulators for this process. the body uses Vitamins for blood sugar balance it also uses antioxidants and minerals that promote healty insulin activity giving the cells a better response. The nutrients on this formula may support glucose balance, optimizing insulin sensitivity that help you with energy production. So this Vitamins for blood sugar balance are the right combination of supplements for sugar cravings and Blood Sugar support. 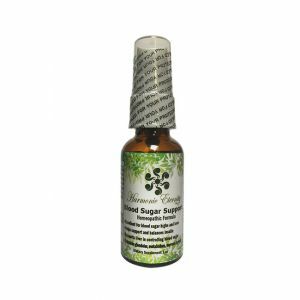 Our blood sugar formula helps correct mineral and vitamin deficiencies and supports normal metabolic activity. Harmonic Eternity blood sugar balance formula it was created with the most important nutrinets to help you with healthy insulin activity and glucose balance, using the best blood sugar supplements,vitamins and trace minerals. Diabetes is one of the few diseases where nutritional support is critical to kee it under control. A person who only uses medication and neglects the diet or use of supplementation for blood sugar, will only increase the dose require from insulin injections. People with uncontrolled diabetes increase their diuresis. This causes a loss of vitamins and minerals soluble in water, necessitating Vitamins for blood sugar balance , trace minerals,herbs and nutrients. Another reason to use supplements for blood sugar balance in patients with insulin resistence is that the ingestion of essential nutrients supports the body's ability to use insulin, thus contributing to maintaining blood sugar levels within normal ranges. Vitamin D3 800 IU, Vitamin B6 50 mg, Vitamin B12 150 mcg ,Biotin 4.5 mg, Zinc 40 mg, Selenium 55 mg, Magnesium 300 mg, Manganese 2 mg, Chromium 800 mcg, Indian Barberry (Barberis aristata; root) 1,000 mg ,D-Chiro-Inositol 50 mg ,Guar Gum (Cyamopsis tetragonoloba) 500 mg, Cinnamon Bark 500 mg, Gymnema slyvestre Leaf 100 mg, Alpha-Lipoic Acid 50 mg, Banaba Leaf 30 mg, Vanadium 250 mcg. According to studies, a relationship between vitamin D and diabetes is suggested. Normal levels of vitamin D and calcium are related to the function of beta cells (cells found in the pancreas that synthesize and secrete insulin). In addition, it seems that this vitamin can have beneficial effects on the insulin sensitivity of cells.This results clearly demonstrate that vitamin D administration improve insulin resistance caused by exposure to a diet rich in fats and sugars. Dosage: 2,000 IU of vitamin D a day. A vitamin B complex , specifically vitamin B6 (pyridoxine) and vitamin B12 (Cobalamin), are critical to the health of the nervous system. In the case of diabetes, they help in the condition of diabetic neuropathy. Biotin is another vitamin of complex B. 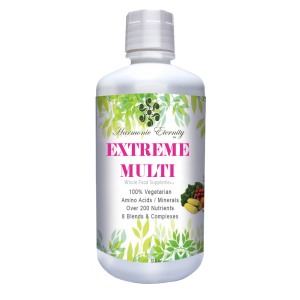 It is necessary for proper functioning of the metabolism and for adequate growth. It is also involved in the synthesis and use of proteins, carbohydrates and fats. Zinc that modify the response and sensitivity to insulin and antioxidant properties of (MT), cysteine-rich intracellular proteins that act mainly as regulators of homeostasis of this metal. Zinc is abundant throughout the pancreas and is involved in endocrine and exocrine function. It is an important component of pancreatic juice although it is more concentrated in the endocrine islets, specifically in the secretory vesicles of β cells where it has an important physiological role in the function of insulin. Changes in intracellular levels of free zinc can occur in response to external stimulation such as increased glucose concentration and against oxidative stress. Therefore, its homeostasis was proposed as a key factor in the emergence and/or progression of diabetes mellitus, observed by numerous examples in animal models and in clinical studies with patients with the disease. An investigation carried out at the University of Aqueduct I in France determined that a high plasma selenium concentration leads to a reduction in the risk of diabetes. Selenium is a mineral with multiple properties such as protection of DNA, proteins and lipids, prevents oxidative damage, maintains the normal functioning of the thyroid gland. In addition to these medicinal properties can include reducing the risk of being diabetic. Magnesium is an essential mineral for the proper functioning of the organism since it participates in almost 300 biochemical reactions in the body. It is fundamental in the production of energy, in the synthesis of proteins, in cellular replication and in the production of DNA. Also, magnesium has been shown to decrease insulin resistance, helping to maintain blood sugar levels under control. It is known that people with diabetes usually have deficiencies of this mineral and these may even be the cause of diabetes. The consumption of foods rich in manganese or of supplements of this mineral, increases the efficiency of the metabolism of the glucose. It has also been found that they can alleviate the symptoms of people suffering from osteoporosis or epilepsy. this is one of the top diabetic supplements, Chromium is a trace element that improves the action of insulin, thus contributing to the uptake of glucose, keeping blood sugar levels within normal ranges. According to clinical trials carried out in people with diabetes, insulin resistance or other related abnormalities, they concluded that chromium contributes to the control of blood sugars. Chromium does not increase the production of insulin, but it enhances the effect of this, making it work more efficiently. When the secretion of insulin is low or the hormone does not work properly, glucose accumulates in the blood and results in hyperglycemia (above-normal blood glucose levels), with the consequent disorder in the metabolism of glucose insulin intolerance or insulin resistance), which can result in diabetes. Apparently, GTF chromium deficiency is a factor causal in this type of metabolic dysfunctions. This partnership is reflected in numerous studies. 800 mcg of chromium picolinate a day. Berberine is a plant compound found in plants as in the European barberry, the grape of Oregon, the turmeric tree, etc. has been shown to have beneficial effects on the glycaemia of diabetics, some studies even compared it with traditional hypoglycemic medications such as metformin. Among its effects are: increased sensitivity to insulin, increase the uptake of glucose by cells and possibly reduce the production of glucose at liver level. High blood glucose levels, most often experienced with diabetes, are dangerous and can be life-threatening. However, coexistence with diabetes treatments can be difficult. Guar gum adds to a regimen has been shown to help lower blood glucose levels for both type 1 and type 2 diabetes, and help alleviate symptoms that go with having blood sugar, such as fatigue, superficial respiration, and blurred vision. Cinnamon helps stabilize the blood sugar level by stimulating the insulin receptors and increasing their sensitivity to this hormone that decreases blood sugar. In response, the body needs to produce less insulin to cause the same effect. This lightens the pancreas, stimulates the metabolism and reduces inflammation. On the top supplements for sugar cravings we have Leaves of Gymnema Sylvestre contain gymnemic acids in addition to other components. Gymnemic acid molecules are similar to the structure of glucose molecules. When the molecules of gymnemic fill the receptors of the taste buds of the tongue, which prevent the activation of sugar molecules and therefore suppress the cravings of sugar. Similarly, by blocking the receptor sites of the sugar molecule absorption layers of gut molecules, gymnemic also prevent the absorption of sugar molecules in the intestine. This makes blood sugar levels low. It has also been found that Gymnema stimulates the pancreas to increase insulin secretion. Gymnema also increases the use of glucose by promoting enzymes that help in the use of glucose. It reduces the enzymes gluconeogenesis and sorbitol dehydrogenase phosphorylated while increasing the activity. Research is also underway to determine whether Gymnema also helps overcome insulin resistance that is one of the reasons for adult diabetes mellitus. Multiple investigations conclude that alpha-lipoic acid is of great help in patients with symptoms of diabetic neuropathy and the reasons for this phenomenon are the following: It has high insulin sensitivity so it improves the use of glucose in type 2 diabetes mellitus. Alpha-lipoic acid has provided convincing evidence of its ability to help control glucose. It has also proven to be a potent antioxidant in the fight against diabetes. In recent human studies, alpha-lipoic acid significantly reduced glucose levels in people with type 2 diabetes. A study published in Diabetes Care in February 2009 showed that German physicians supplied thin and obese people alpha-lipoic acid twice daily. Although the most drastic changes were observed in the thin people, both groups had lower concentrations of glucose. Numerous clinical studies, both in humans and animals, have shown that Banaba leaf extract has the ability to lower blood sugar and insulin levels. One of the studies of the Southeastern Institute of Biomedical Research, using 1 percent of corosolic acid from Banaba leaf extract, significantly reduced blood glucose in people with type II diabetes, but oddly enough it did not in healthy people. Vanadium is a metal that is found in nature and is essential in some organisms. In humans it is not yet known if it is an essential element. However, several studies suggest that it plays a fundamental role in regulating glycaemia, as it seems to mimic the potency or action of insulin. WARNING: The products and statements on this site have not been evaluated by the Food and Drug Administration of USA (United States Food and Drug Administration) and are not approved to diagnose, treat or prevent any disease. 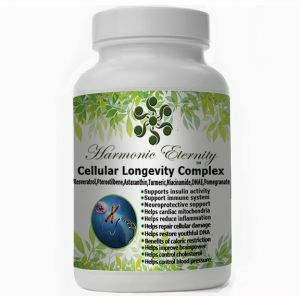 HARMONIC ETERNITY DISCLAIMER Our Products offer help as supplements, Our Supplements and products are not a substitute for professional medical prevention, diagnosis, or treatment. Please consult with your physician, pharmacist, or health care provider before taking any supplements suggested to help on this site. Only your health care provider, personal physician, or pharmacist can provide you with advice on what is safe and effective for your unique needs or diagnose your particular medical history.